Mr. Ivey graduated from the University of Texas at Austin in 1989 with a degree in Economics. He attended South Texas College of Law in Houston, Texas and was awarded his Doctor of Jurisprudence in 1992. 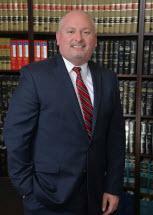 He was granted Board Certification in Personal Injury Trial Law by the Texas Board of Legal Specialization in 2004. He was licensed by the State Bar of Texas in 1993. Mr. Ivey is licensed to practice in all courts of the State of Texas and The United States District Court for the Southern District of Texas, The United States District Court for the Eastern District of Texas, The United States Court of Appeals for the Fifth Circuit.